A NEW THREAT (2015): When an alien ship lands unexpectedly in the middle of her clan’s territory, Bast is sent to investigate as part of her scout trial. After an accident, she meets these new visitors. She and her senior scout Rrrark are invited to return with the aliens to their home planet to open diplomatic relations. What started out as a simple diplomatic mission becomes complicated when they discover a pirate scheme that might be more than it seems. 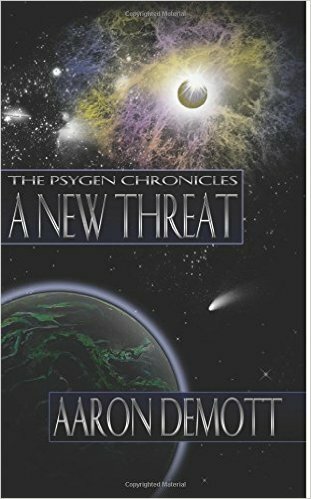 Only Bast, Rrrark, and two of the aliens called Pysgens are capable of stopping the pirates. Murder victims didn’t have to die? The identity of a killer could be 100% certain, regardless of the evidence? The one person who would do this was a cop, with law and justice first in her mind? When Darby Shaw’s calm world is turned upside down, she wonders how her new abilities to bring the dead back to life will affect her life’s desire to become a detective. 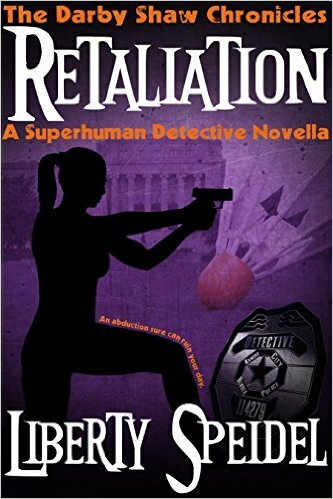 But being a detective–for homicide, no less–is the least of her worries when the agency in charge of monitoring superhumans takes a heightened interest in her one-of-a-kind abilities. What if…murder doesn’t have to mean forever? RETALIATION (2014): A year after Detective Darby Shaw found out she was a superhuman who could revive the murdered, she has uneasily accepted the expectations on her and settled into the new direction of her life, although she’s not sure she likes it. Darby’s relative peace is shattered when, a year to the day after her first resuscitation, the 37-year-old killer in the case turns up dead in his jail cell—his body withered to that of an aged man. Speculation mounts that Darby and her powers are directly responsible for the death of the killer. 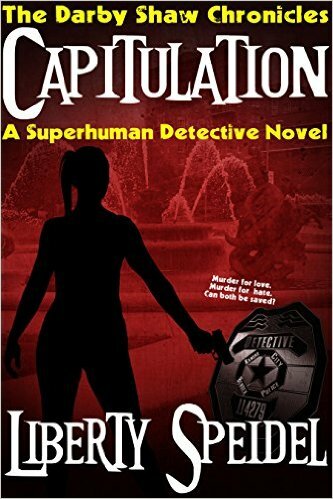 CAPITULATION (2015): Surviving a kidnapping is not for the faint of heart, as Darby Shaw knows a ll too well. Two months after being rescued, she’s starting to get things back to a new normal. She’s making changes, subtle though they may be, doing what she can to move on. Her latest case is just the thing Darby needs to keep her mind off the recent past: Justin Kendrick, paraplegic, is dead. Being poisoned, strangled, and stabbed through the heart seems like overkill. Together with her partner, Detective Mark Herman, and colleague, Sergeant Trent Oliver, Darby must track down Justin’s killer. 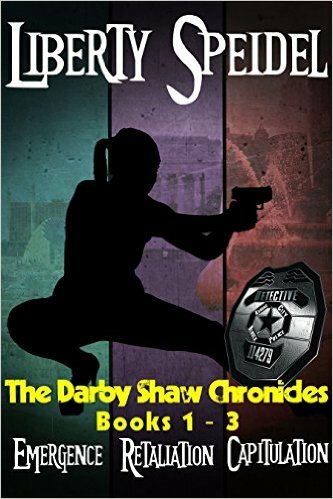 THE DARBY SHAW CHRONICLES, BOOKS 1 – 3 BOX SET (2015): Emergence, Retaliation, and Capitulation, plus a bonus short story. 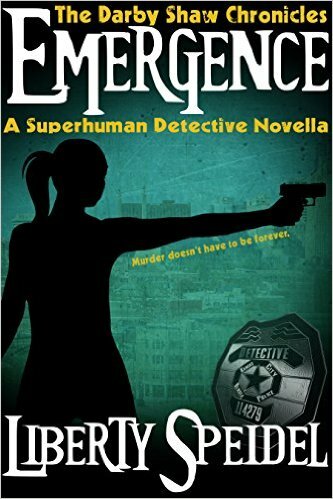 It’s been three years since police Detective Darby Shaw found out she’s a superhuman who can revive the murdered. In that time, she and the Department of SuperHuman Affairs have had a tumultuous relationship. But when one of their agents ends up dead in her jurisdiction, Darby must set aside her hate in order to pursue justice, especially with the Department hostile to her and Mark. Mark Herman, her partner, is still reeling from the revelation Darby kept secret for two years: he’s not normal, but neither is he a superhuman. Angry, hurt, and confused, he wars with himself—is she worth the trouble? When new department psychologist and empathic super William Young makes moves on Darby, Mark must face his own jealousy—and try not to piss off Darby in the process. Equal parts mystery, superhero tale, and romance, OMISSION is sure to keep you up past your bedtime. Darby Shaw. No Capes Required.